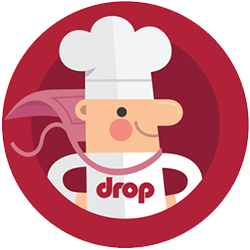 Drop — Can I create private recipes? Absolutely. You definitely don&apos;t have to share your family secrets with the whole Drop community in order to view and make your own recipe. As soon as you press Save on the Details page, your recipe will be created and appear in your Drop Recipes profile. But don&apos;t worry, no one else can see or search for it unless you hit Submit on the Publish page. When you&apos;ve finished inputting your recipe, even if you don&apos;t submit it, it will work just like every other recipe in the app. The only difference is that it will only be visible to you.